Everyone thought this creature was strange but wanted to have their picture taken by it. The back side of Benson's Beercade with Nathan Hale and Katherine Scarpello. Where Monroe students meet sea and sky! These larger-than-life bugs were a hit with every class. 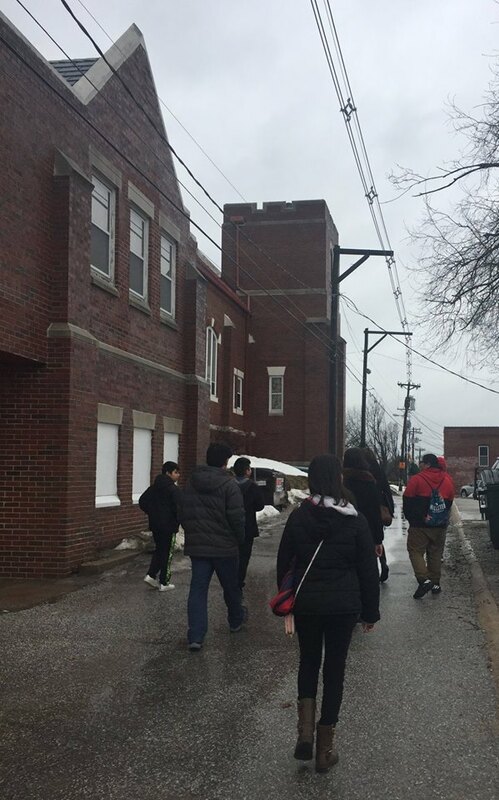 "That is just lit," said the students from Nathan Hale. A tree grows in the north alley behind Beercade. 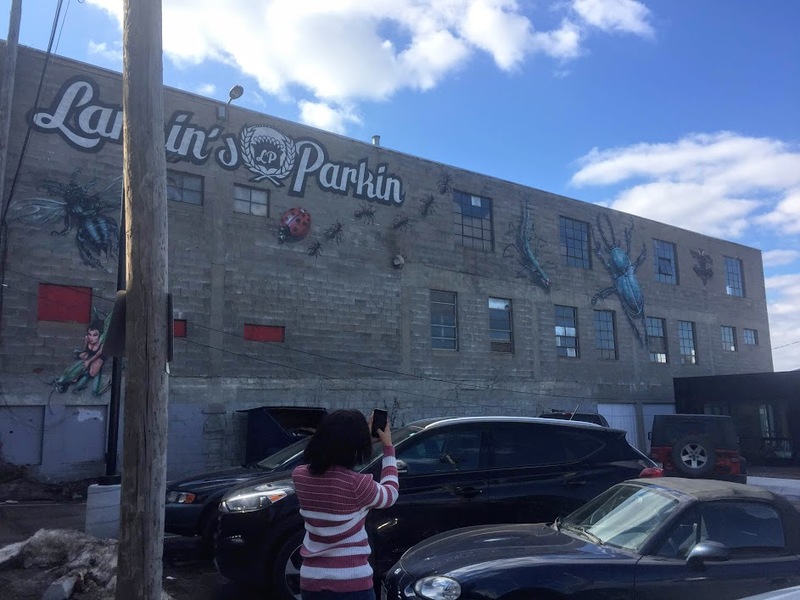 In the north alley on the garage door of Larkin's Parkin', tunnels, strange creatures and vines abound. 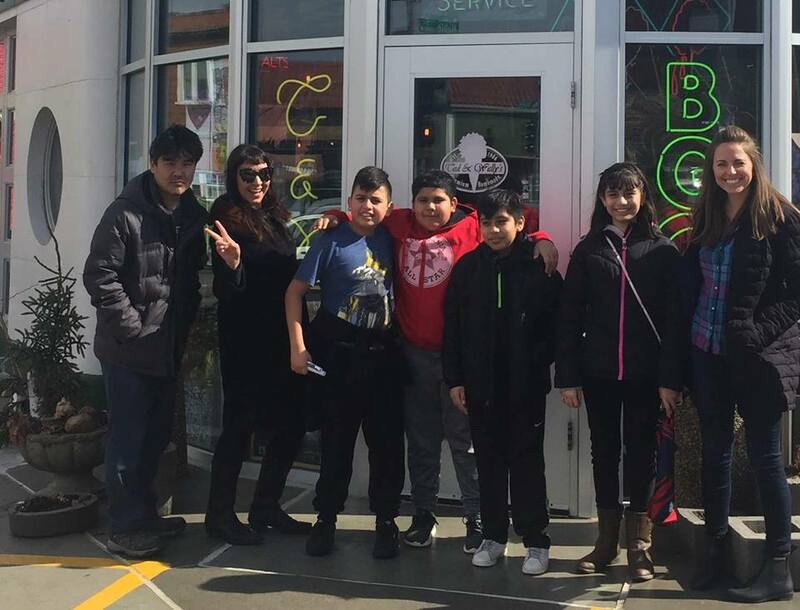 We stopped by the art gallery in Star Deli on our walk. Here we are taking pictures of us taking pictures! 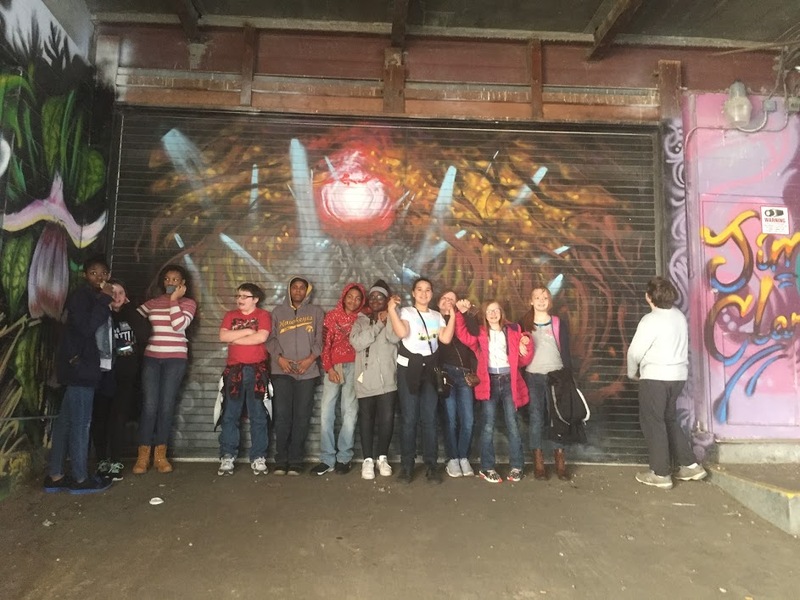 Monroe Middle School's turn! 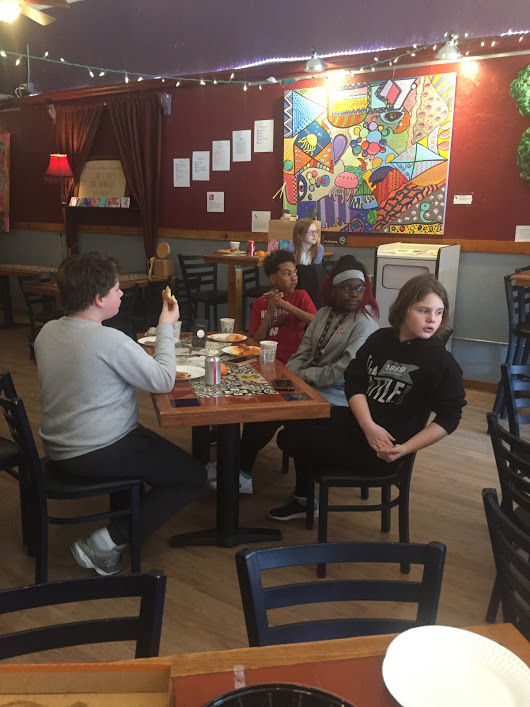 Students from each school came to The B Side Gallery to talk about how the art in the exhibit made them feel while enjoying pizza and oranges. 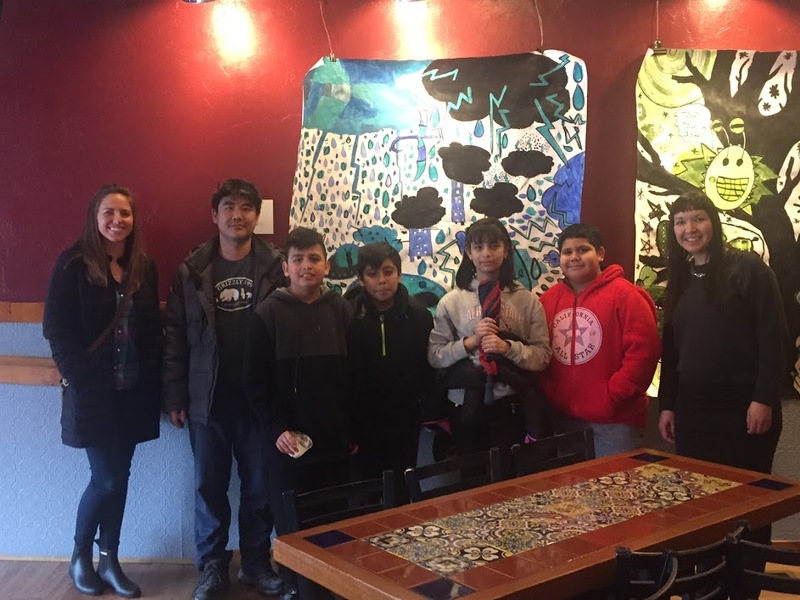 Marrs Middle School students with site director Alyssia Erickson and WhyArts mentors Rich Chung and Sarah Rowe just before the group headed out in the rain for its mural tour in downtown Benson. 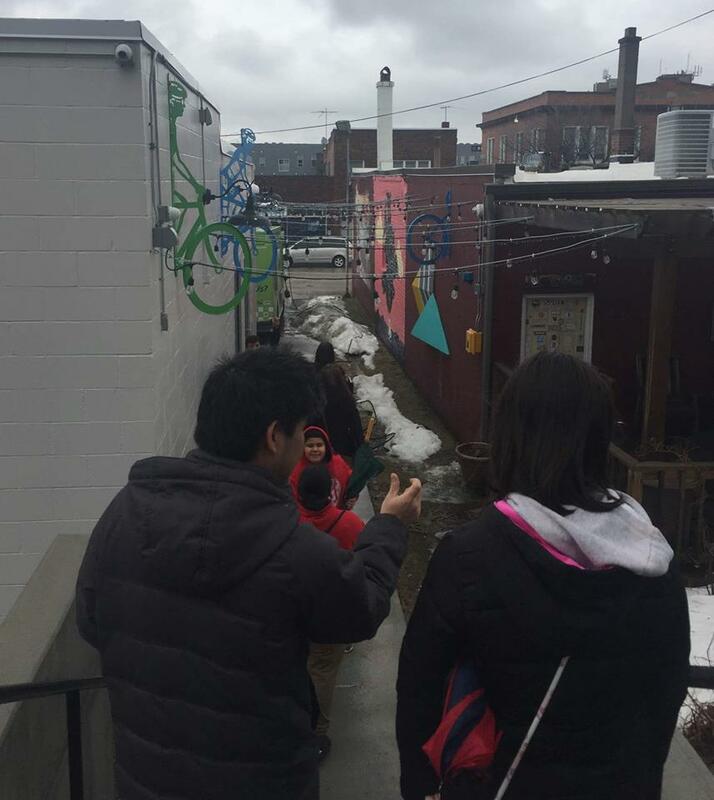 Norris Middle School students below their SOAR piece at the B Side Gallery along with WhyArts Mentors Hugo Zamarono and Rich Chung. 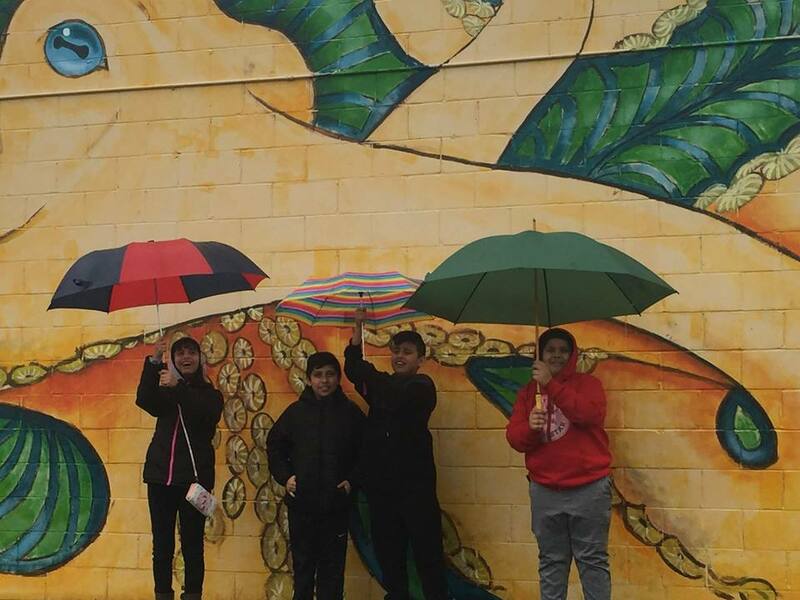 Our walking tour of murals in downtown Benson in the rain. 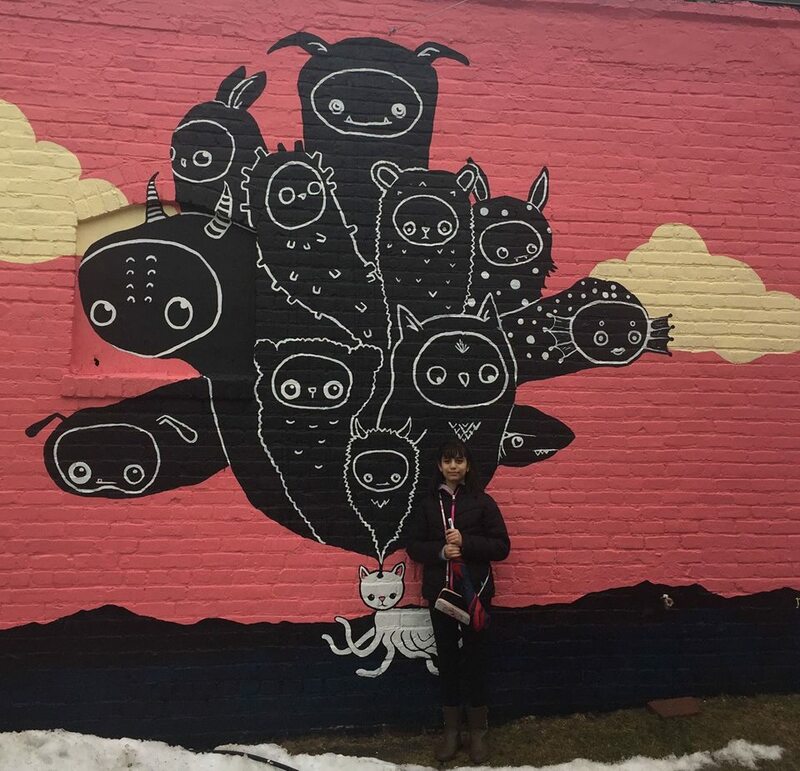 Roaming the alleys of Benson looking for art. We found some between Ted & Wally's and the Omaha Bicycle Company! Jetski said this was her fav. The sun came out and we all had ice cream! Benson is a great village. Its motto is "Where Creativity Is Our Culture". 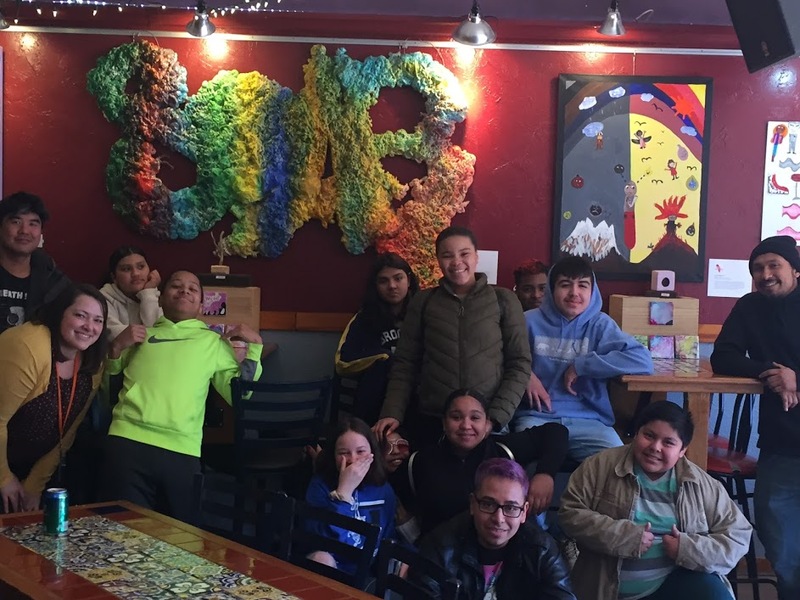 Thanks again to BSide Gallery for hosting our Express Yourself Art Exhibition. 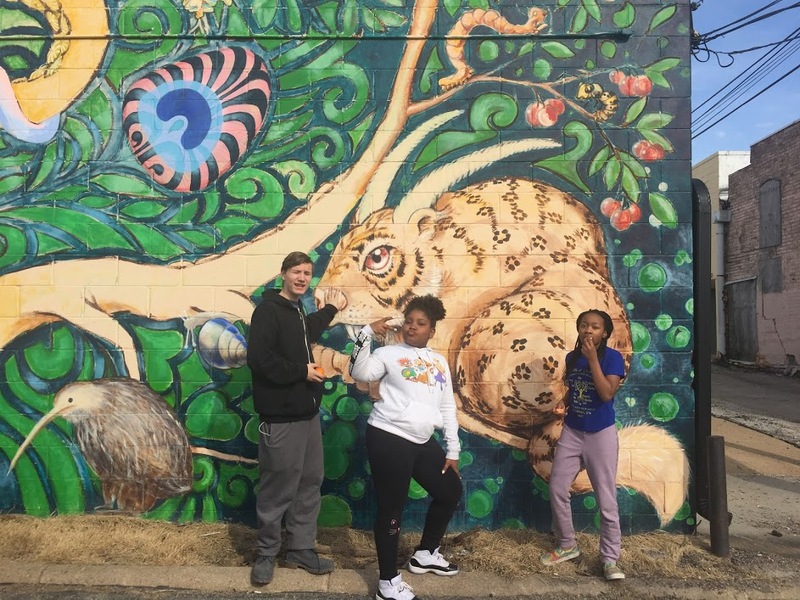 We love the Benson Theatre Project! One way to learn about art is to create it. Another way to learn about art is to immerse yourself in it. 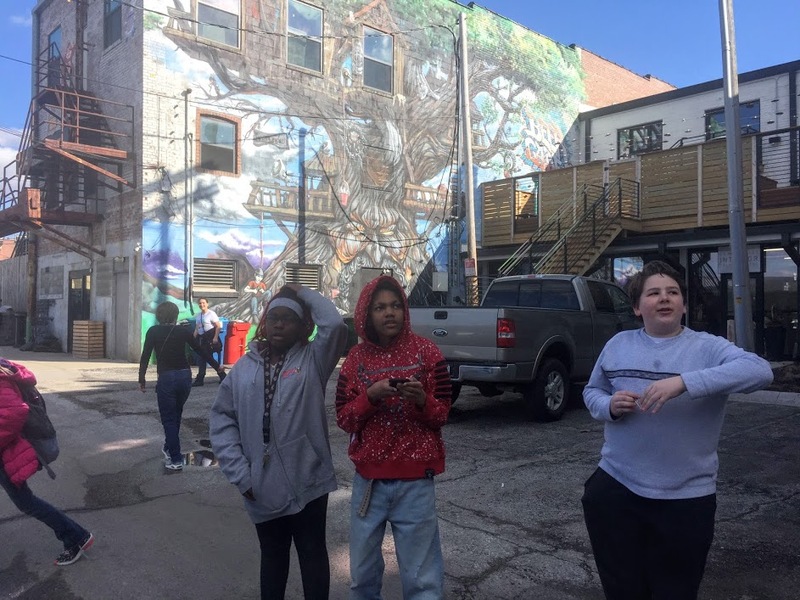 Middle school students from Monroe, Morton, McMillan, Marrs, Norris, Nathan Hale, Lewis & Clark and King Science Magnet did both this spring as part of the Express Yourself Art Exhibition at The B Side Gallery in downtown Benson. The exhibition was sponsored by WhyArts, the Basic Hope Foundation’s S.O.A.R. 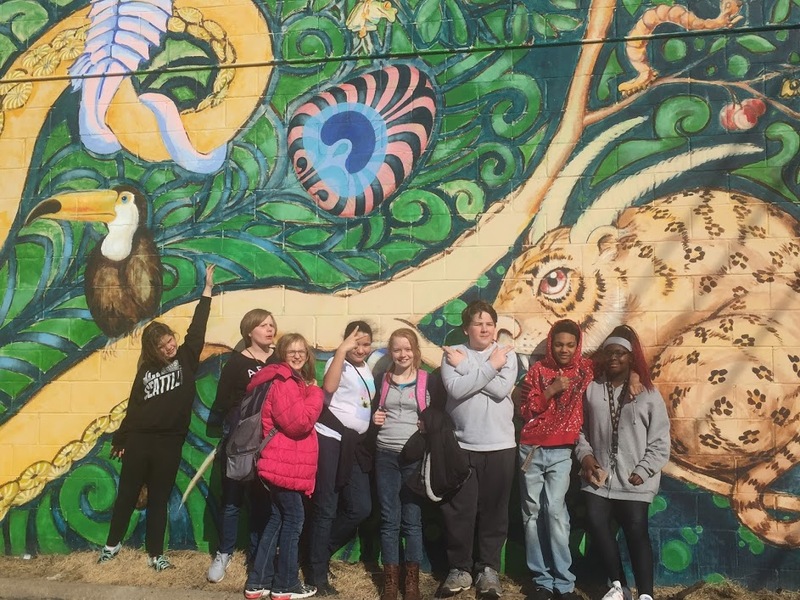 Program, Collective for Youth and Omaha Public Schools. 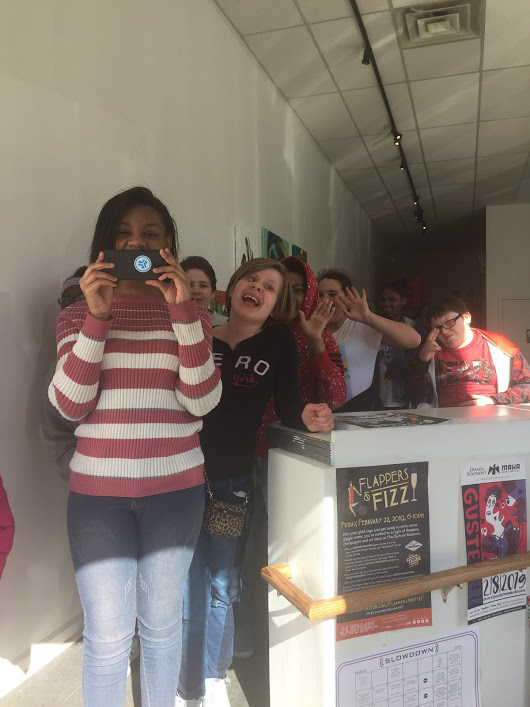 In conjunction with the exhibit, these middle schoolers toured downtown Benson’s arts-centric business district, which is home to art galleries, art studios and a wide variety of mural art. 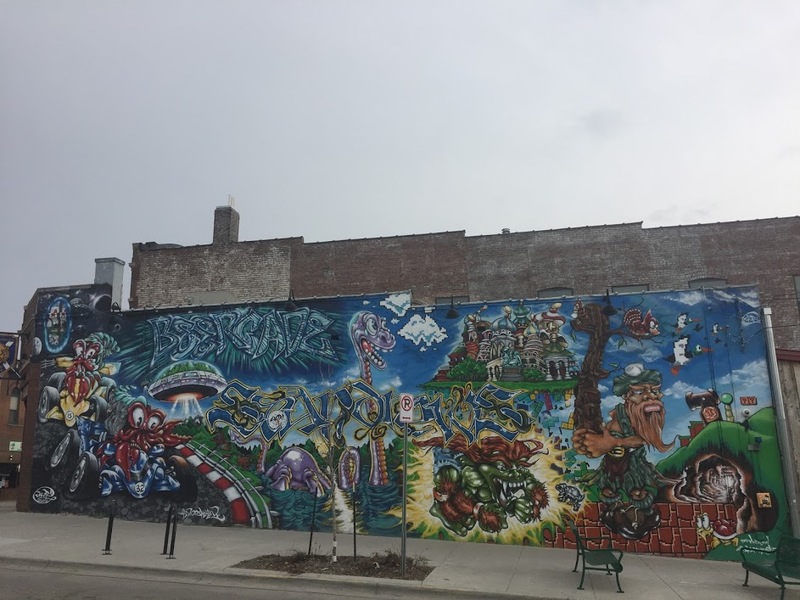 Many of the murals are located behind the buildings in the district’s north and south alleys. 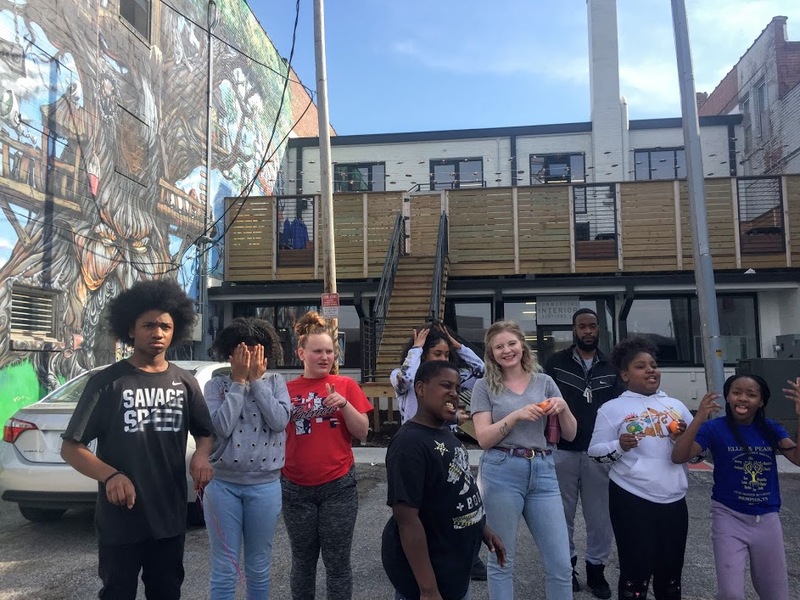 For more information about youth outreach programming at WhyArts, contact Kim Jubenville at kim.jubenville@whyartsinc.org.